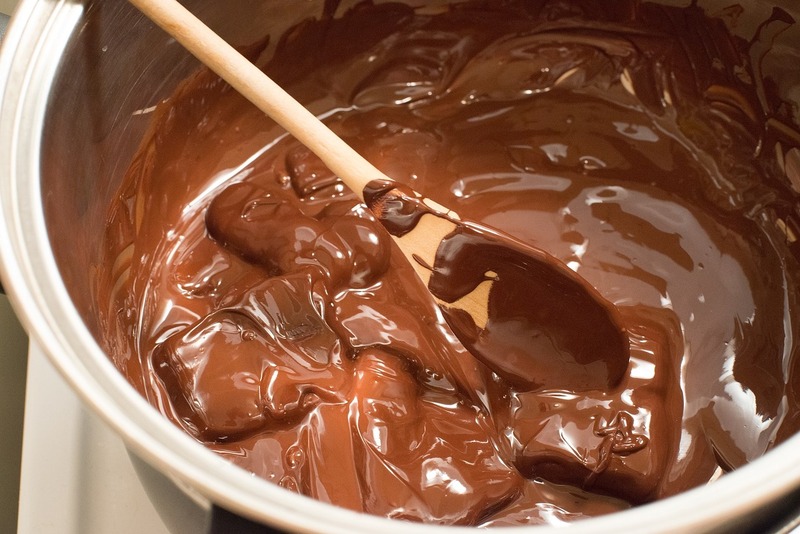 The science behind tempering chocolate is convoluted. In order to get crisp, svelte chocolate, you have to undertake a lengthy, arcane process that involves heating some chocolate, cooling other chocolate, or even mixing in special chocolate that’s supposed to teach your chocolate how to cool properly. The concept is not dissimilar to the idea of Ice Nine from Kurt Vonnegut’s Cat’s Cradle: your goal is to form a seed of correctly tempered chocolate that the rest of the chocolate then crystallizes around. This involves lots of careful temperature management and a watchful eye. 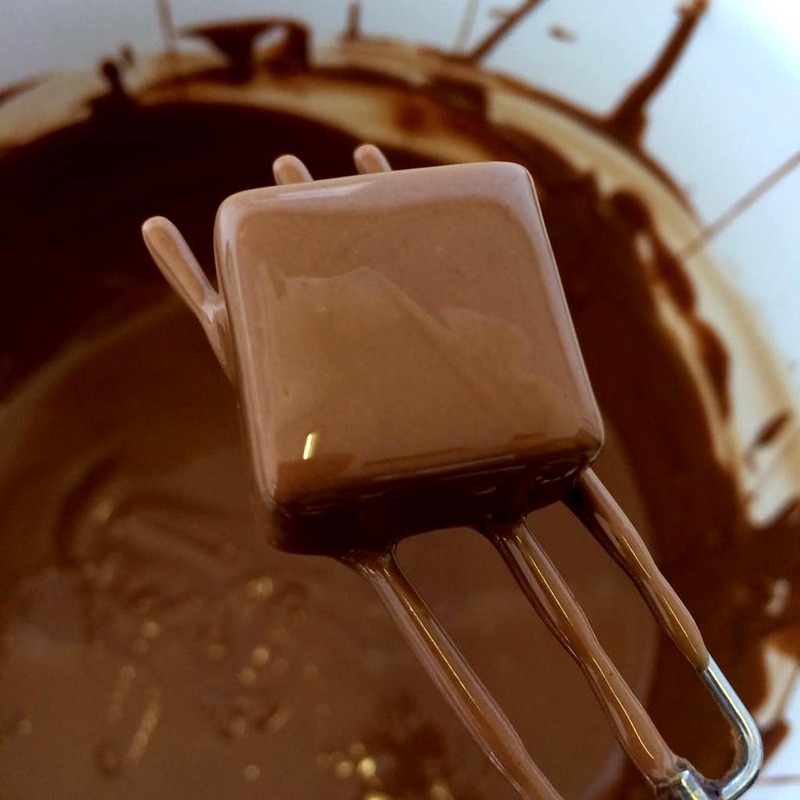 Alternately, you can purchase a home chocolate melting machine and make the process much easier. So what kind of a machine should you buy? 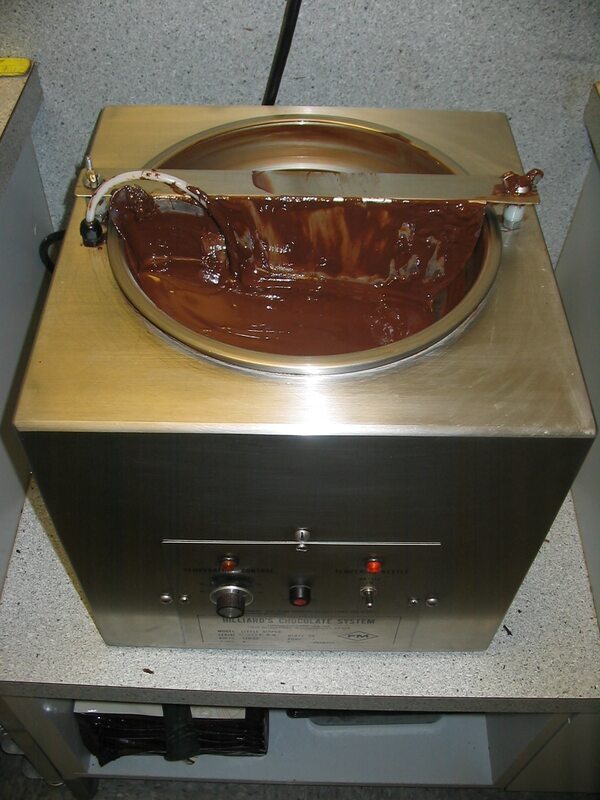 Here are some of the best chocolate tempering machines on the market. You can use any of these incredible products to produce high-quality glossy chocolate at home with a minimum of effort. For enjoying fondue at home, nothing beats this large, affordable Cuisinart melting pot. It’s got a big, roomy 3-quart stainless bowl that’s easy to clean and large enough to be used as a double boiler. Adjustable temperature controls let you use it for multiple types of meltable, including chocolate, cheese, and even the occasional “regular” cooking job. Perhaps most impressively, the power cord magnetically detaches in the event of a mishap, ensuring that all of your guests will stay safe while you enjoy your delicious fondue. While this product is designed for fondue, it actually makes a fairly good candy pot in a pinch. Leave the 8 included fondue forks in a cupboard, fill the pot with water, and place a smaller metal pot inside to use it as a double boiler for complex recipes. You’ll need to use a candy thermometer and carefully adjust the temperature knob, sure, but you’ll be able to make (and temper) large quantities of chocolate with ease. While I’m a fan of all of the products on this page, this chocolate dipping machine is an especially good fit in most kitchens. For one, it’s not super expensive, meaning you can pick up a great tool for your chocolate making hobby on the cheap. For two, it’s a multi-purpose appliance that can be used for fondue, chocolate, or even soups. This means you’ll be able to do much more than just melt chocolate in your Cuisinart pot. I can’t recommend this product enough! 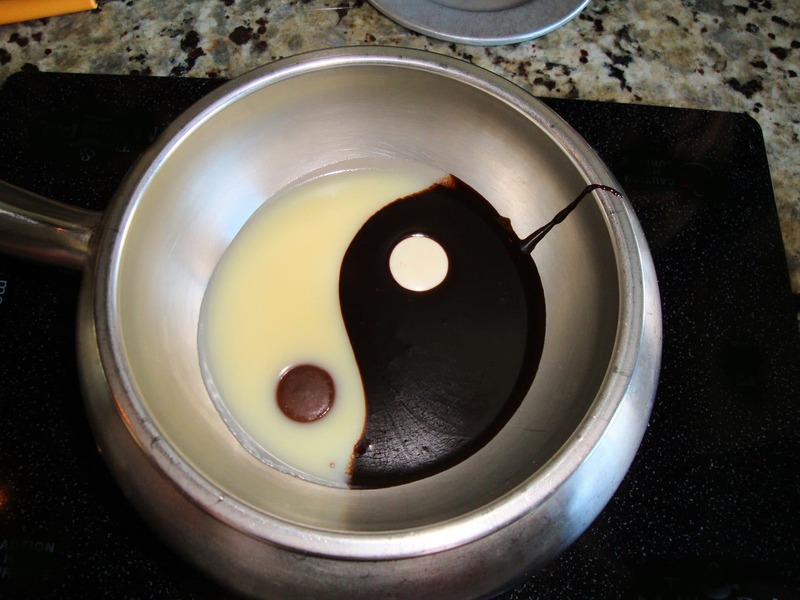 This specialty chocolate melting pot is a top choice by professionals as well as hobbyists around the country. It’s a wonderfully effective machine with two tanks and a simple interface that enables you to dial in the exact temperature you want. 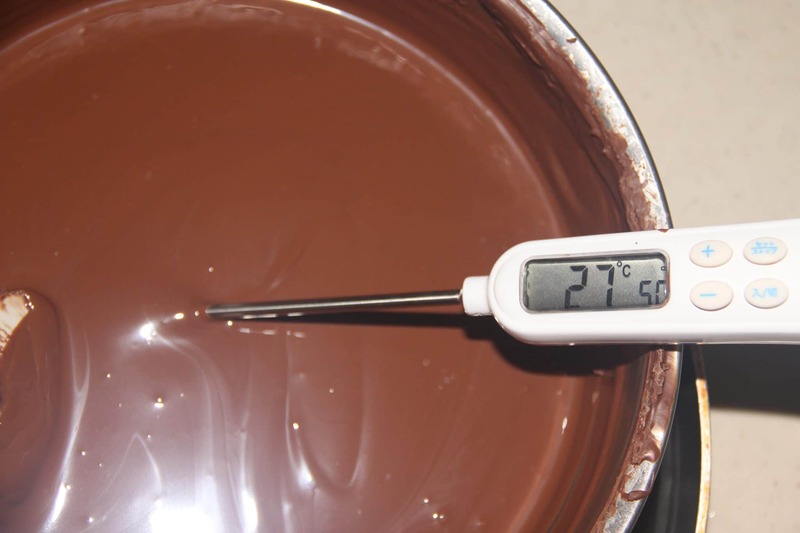 Anything up to 194F is game, meaning it’s trivial to hold your chocolate at the perfect point for tempering. There are a few small downsides to this machine. First, it doesn’t stir your chocolate for you. I don’t find this a problem personally, especially since the two tanks are heated so evenly by the internal mechanism. If you want something totally hands-off, however, you can find a few other (less reliable) home machines that stir as they melt. The other downside is that this steam-operated machine doesn’t melt chocolate particularly fast. Again, this is fine for me, since I’d much rather my machine hold my chocolate at the right temperature. I can set it, leave the kitchen, and come back to chocolate that’s ready for the next step. On the plus side, you can melt some pretty big quantities of chocolate in this machine. The manufacturer suggests that you can do a little under 9 pounds in each tank, which is quite a lot of chocolate for home use. The tanks are heated by way of a double boiler, ensuring that the heat is distributed evenly and applied in a simple, safe manner. You can actually use this as a machine for dipping, just like the pot above. It doesn’t come with any forks, however, and the form factor is absolutely perfect for commercial chocolate making. If you want a close-to-perfect home chocolate machine, this DreamJoy commercial chocolate melter is the product for you. It’s wonderful at keeping your chocolate at the perfect temperature. You have to stir things occasionally, sure, but it makes everything else a breeze. This small chocolate tempering machine is regrettably one of the few products available for hobbyists who want their chocolate tempered for them. It’s small, pricey, and some of the pieces are prone to popping off. While you can fix it with tape, it’s definitely not going to turn your kitchen into a chocolate factory on its own. So should you buy it? The answer may still be yes. While this machine might not be big enough to temper lots of chocolate at once, it can handle about a pound of the good stuff at a time pretty easily. Any more and you’ll have chocolate literally running over the edges of the bowl. Up until that point, however, it does a great job of melting and stirring your chocolate while maintaining a good temperature for tempering. The baffle or arm popping out isn’t a big deal, either. Many users suggest utilizing household objects like binder clips or tape to help keep things together. These MacGuyvered solutions might not look great, but they’ll keep the machine in working order while it produces delicious, tempered chocolate. The biggest downside to this machine is not the small capacity or the wonky parts. Instead, it’s the fact that you may need to babysit it. As the machine stirs, chocolate tries to climb the edges of the bowl. While this is a big issue with large quantities of chocolate (when you add more than about a pound), it can happen occasionally when you’re working well within the limits of the machine. 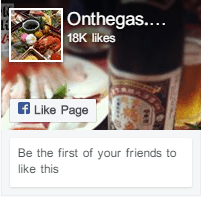 Again, this issue can be fixed by the user. Standing over your bowl with a spatula will enable you to catch any spills before they happen and keep your chocolate where you want it. This means you shouldn’t trust this machine for hands-free operation. 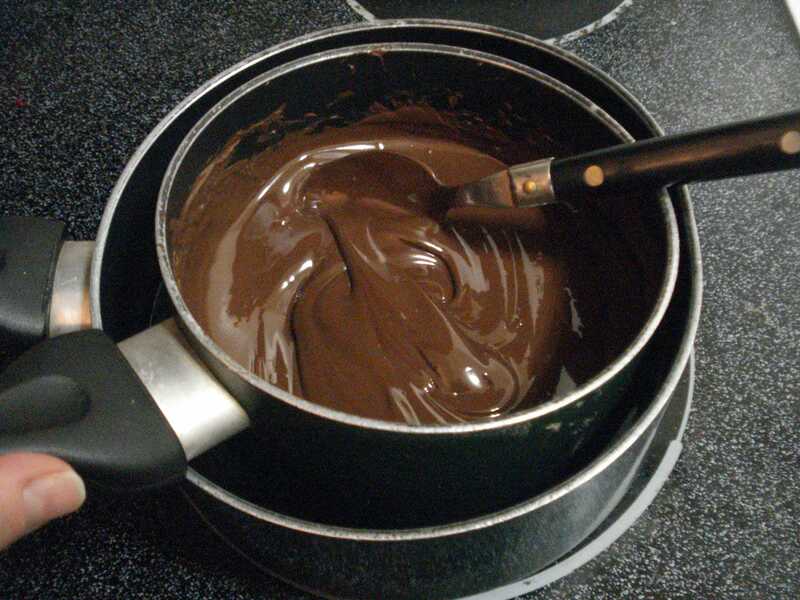 Instead, it’s a way of tempering chocolate partially automatically. You can talk on the phone, work on other recipies, or do your dishes while it stirs, but you’ll want to keep glancing over occasionally to see when the machine needs your input. For some people, this means that this pricey machine isn’t worth it. After all, if you need to stir your chocolate, why not buy the larger, cheaper machine above? If you’re after something that does more of the work for you, however, there’s nothing wrong with this ChocoVision tempering machine. It’s not perfect, sure, but it will get the job done. If you need to temper commercial-sized quantities of chocolate, this large automatic tempering machine is a perfect solution. It’s got fully adjustable temperatures that can be set separately for both melt cycles and the automatic temper mode. With the ability to handle five pounds of chocolate at once, you can pull off some pretty impressive feats from your home (or commercial) kitchen with this unit. After reading the review of the ChocoVision above, you may be wondering why you’d trust the company with such a pricey machine. Luckily, this large model has pretty much none of the problems of the smaller unit above. It’s plenty roomy, the parts stay attached, and it’s even a lot quieter. In other words, you actually get the quality that you would expect from the price tag. This is a perfect machine for both serious hobbyists and professionals who work at smaller shops. The manual modes give you lots of control for making different kinds of chocolate the exact way you want, while the roomy interior lets you make fairly large batches at once. Best of all, this machine is incredibly easy to clean, meaning it’s perfect for making back-to-back batches of chocolate. Modeling chocolate and fondant are both used by bakers as a delicious way of topping their creations. Here are the important differences between these two types of chocolate. Fondant has lots of stuff in it, but it tends to be quite cheap. Common ingredients include marshmallows, sugar, corn syrup, and shortening. You don’t really mind wasting a bit of fondant by accident. Fondant isn’t usually made from chocolate at all. Modeling chocolate, by contrast, is made with lots of pure, expensive chocolate. It’s got corn syrup and sometimes food coloring mixed in. While it’s not too hard to find the ingredients you need, you definitely will want to be careful to ensure you don’t waste any of your precious modeling chocolate. Fondant is usually used to cover cakes and other baked confections. Rolled fondant, the type used with cakes, has a consistency not unlike dough and looks quite smooth and shiny. It’s very flexible and stiff enough to be formed into basic shapes, enabling creative decorations. Fondant doesn’t taste amazing on its own. It’s quite sweet, although the texture tends to be somewhat dry. People compare fondant with the taste of dry marshmallows. Modeling chocolate, on the other hand, tends to taste like a wonderful, high-quality chocolate bar. It’s usually got a perfect mix of subtle chocolate tones and sweetness. 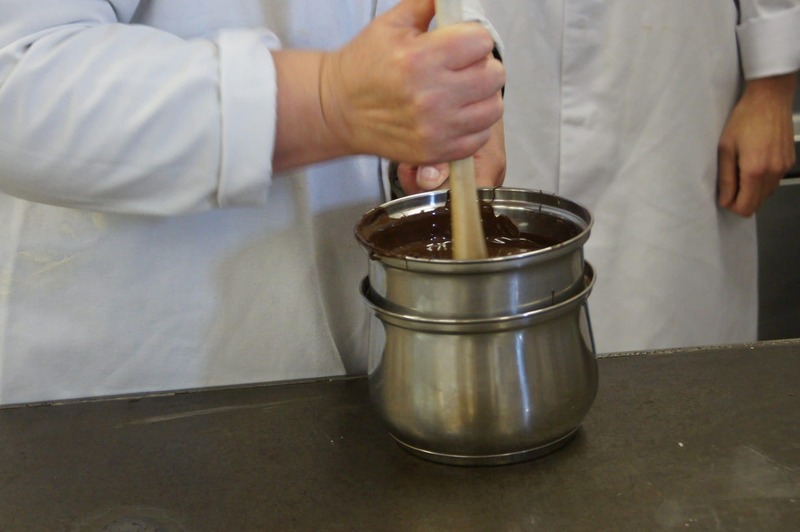 Whether you’re making chocolate in a candy pot, in a melter, or using an automatic tempering machine, the basic process is the same. You first melt all of your chocolate to a fairly high temperature. Next, you cool your chocolate and stir it until it begins to thicken and hits around 80F. Finally, you raise the temperature to exactly 88F and pour it into a mold to set. So how does this work? The reasoning behind this process has to do with the ways chocolate can crystallize. Different types of chocolate crystals have different properties when they set. If you don’t temper chocolate, you get a drab, unappealing exterior. Worse, the different types of chocolate crystals can separate and give you a rough, almost sand-like texture as your chocolate sets. This chocolate isn’t ruined, however. It simply needs to be re-melted and tempered so that only the right type of chocolate crystals form. The tempering process starts when you heat your chocolate above the melting point of every type of crystal. This ensures that you don’t have any crystallized chocolate at all in your starting batch. Next, you carefully cool it until type IV and V crystals form. Each type of chocolate crystal has a different melting point, so by controlling the temperature carefully, you can ensure that only the right types are able to survive. Finally, you raise the temperature to melt all of your pesky type IV crystals, leaving you with only the type V crystals that you want. The final step is to pour the chocolate into molds and cool it at the right temperature. Cooling it too fast can cause other types of crystals to form. Be careful not to shock your chocolate, either, as this can disrupt the temper that you’ve worked so hard to achieve. With a bit of luck, you’ll get a wonderful, crisp, shiny chocolate that tastes amazing! 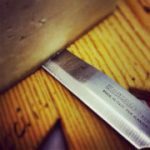 One thing that’s important to note about tempering: you can always go back a step. Even if you’ve already poured your chocolate into molds, you can simply heat it up again to start the process over. The only way to truly screw things up forever is to get hungry and eat all of the chocolate before you’re done! Whether you’re enjoying fondue, melting and tempering chocolate by hand, or you want a machine that stirs for you while managing temperature, there are plenty of amazing options on the market. These devices can turn the chore of making chocolate at home into something quick, easy, and enjoyable. If you’d like to indulge your sweet tooth and crank your culinary confections up to the next level, try these machines!